K1 Speed, the world’s premier indoor karting operator, is hosting the world’s first electric indoor go karting championship, the K1 Speed E-World Championship, March 22-23 that will see over a dozen racers compete for a $15,000 cash grand prize – the largest purse ever offered by an indoor go-karting company. The E-World Championship began last year with a year-round qualifying session. Racers had to be at least 14 years old and needed to acquire 4,000 K1RS points by the end of the year. Racers could accumulate those points by posting a fastest lap, fastest average lap time, beating a number of opponents, and more in a single race. At the end of the year, 70 racers around the country had qualified for the inaugural championship. Through tournaments held on a city and state level, we found the fastest racer from each state. This left K1 Speed with 12 extremely fast racers from across the United States: Charles Eichlin (California), Brendan Radzely (New York), Sanjaya Vatuk (Massachusetts), Kenny McCoy (Washington), Spencer Stilwell (North Carolina), Jeff Panelley (Utah), Nicolas Ryan (Illinois), Curtis Cantrell (Georgia), Demetrius Hines (Hawaii), Shane Lambert (Colorado), Thomas Lyons (Arizona), and Peyton Phillips (Texas). The US Championship occurs on Friday, March 22nd at 5:00pm at K1 Speed Irvine and will be contested as a knockout-style tournament. Racers will be paired up prior to competing in a 14-lap heat to set the best lap time they can. After the heat, the pair switches karts to try to set a fast lap in the same kart their opponent just raced. The driver with the fastest average of the two sessions proceeds to the next round. This ensures everyone competes in the same karts for an equal playing field. The winner of this event will be crowned US Champion and will progress to the World Championship Finals the next morning, Saturday, March 23 at 9am. 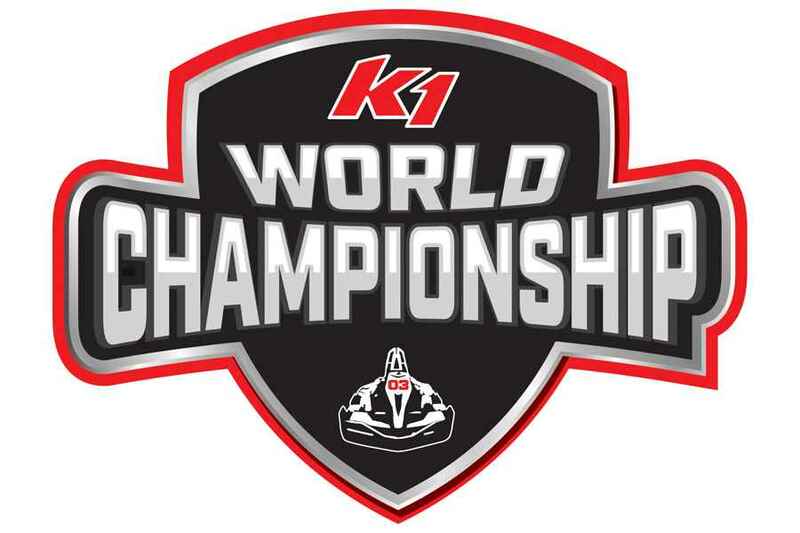 The Finals will pit the US Champion against four racers from several of K1 Speed’s international franchise locations: Puerto Rico, Canada, China, and Mexico. These racers are Antonio Arias (Puerto Rico), Daniel Demaras (Canada), Terry Gao (China) and Luis Enrique Peña (Mexico). These five racers will compete wheel-to-wheel in a tournament at three different K1 Speed locations in Southern California: Ontario, Anaheim, and Irvine. At each location, racers will take part in a practice session, two qualifying sessions, and a final race. Points will be awarded to the drivers based on their final position after each race: 5 points (1st place), 4 points (2nd), 3 points (3rd), 2 points (4th), 1 point (5th). Racers can earn an additional point for pole position (fastest qualifier) and for fastest lap of the race. The driver with the highest amount of points at the end of the three races will be crowned the first K1 Speed E-World Champion – the first indoor electric go-karting champion in history – and will win the $15,000 grand prize. The other two that finish in the top three are set to receive equally impressive cash prizes: $7,500 (2nd Place) and $3,500 (3rd Place). Spectators are encouraged to visit the three K1 Speed locations on these days for a chance at catching some of the action. Admission for these events are free. Don’t worry if you catch the racing bug while watching – there will still be races open to the general public and will run between the championship event or on a separate track.